Player choice has been a hot topic explored in many games of the past few years. The Stanley Parable, for example, made a memorably humorous experience out of mocking the lack of real player agency in most video games. But as fun as it can be to read highbrow think pieces questioning just how much interactivity is really in “interactive entertainment” (that’s how I spend my Friday nights, after all), it’s sometimes nice to just kick back with a snack, a drink and a really fun game. Spearhead Games’ new project, Stories: The Path of Destinies, really speaks to this feeling — it may not have the latest, hottest take on player choice, but it provides a fun series of branching paths that switch up the narrative. Even better, each of these paths is filled with interesting characters, humorous narration and great action-RPG combat. 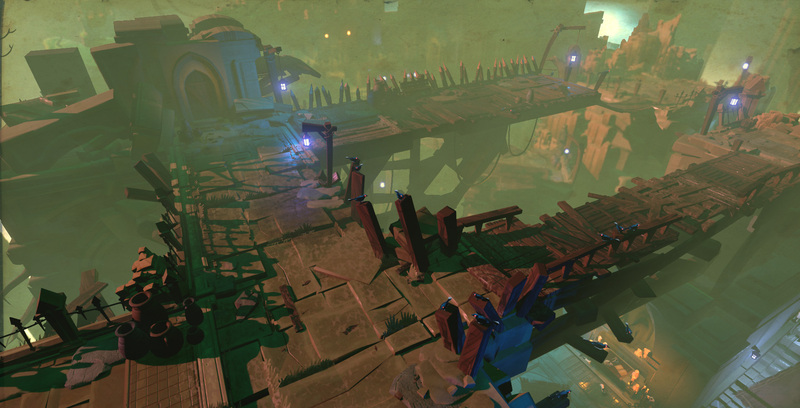 It’s hard to describe the narrative in Stories: The Path of Destinies, because it changes every single time you play. 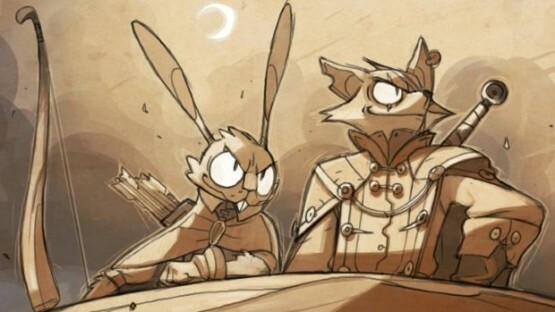 The common thread through everything is a fox named Reynardo, who’s fighting for a rebellion against an evil empire, and that’s all you really need to know before you start. The formula works like this: after most levels, you’re asked to make a choice. 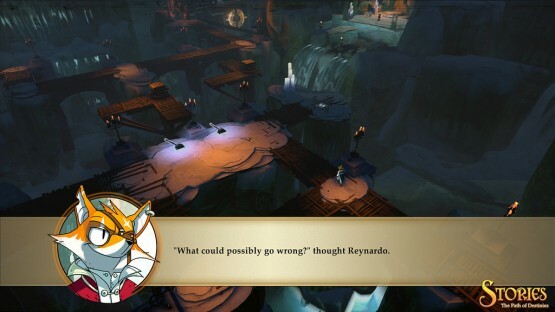 For example, will you try to rescue Reynardo’s rabbit friend Lapino, or will you go after the mysterious weapon known as the Skyripper to help the rebels’ cause? Each choice sends you off on a path which has choices of its own, leading to a branching structure that encourages multiple playthroughs. And while I’ll explain more about the gameplay shortly, suffice it to say that the short nature of each playthrough — there are only five levels per go-around, all of which are pretty short — makes revisiting things to experience the full narrative a pleasure rather than a pain. I can’t actually emphasize this point enough: it’s so easy for developers to pad their games out by having you play the same content again and again, but that’s absolutely not the case with Stories: The Path of Destinies. Though you’ll revisit the same levels several times, particularly if you decide to go after every ending (two dozen of them, if you’re wondering), there’s never a sense of tedium or repetition. The game avoids this pitfall mainly by way of its crafting system. As you go through the levels, you’ll gather ores and elements that allow you to build and upgrade an assortment of swords. These serve a dual purpose as keys that open doors of the same color, leading you down entirely different paths in the same level. With some convenient pacing, you’ll tend to unlock new swords just as you’re revisiting old levels, meaning you’re able to spend a significant portion of your return trip exploring new territory. The other main reason you’re not likely to mind playing through the game multiple times is the combat, which is an absolute blast. Yeah, okay, it’s basically been pilfered from the Batman: Arkham games — Reynardo flips back and forth between enemies, with an opportunity to counter them before they attack — but that’s a pretty good system to steal, and there are enough variations here to keep it from being a total ripoff. The skill trees, as just one example, provide new moves and passive abilities to keep things from getting stale. Plus, I really loved the way Stories continues to introduce new enemies and concepts even as you play through it again and again. Just when you think you’ve seen all there is to see of the combat, the game throws in new enemy types on your next go-around, giving you shield-bearing ravens or annoying explosive adversaries to contend with. Best of all, things are just so buttery-smooth. Whether you’re using your hookshot to draw a baddie in or using your dash ability to escape a magic spell, Reynardo feels great to control. The presentation’s a bit of a mixed bag, but only because Stories’ delightful artistry clashes so irritatingly with some occasional performance issues. The fairytale-inspired character designs, from Reynardo himself to his feline love interest Zenobia, are all an absolute pleasure to look at — and never do they look better than in the stylized storybook sections between levels. The graphics of the actual game are great as well, absolutely bursting with color and detail; the last one, where you’ll hookshot your way across an armada of ships, is breathtaking. It’s such a shame then, that there are some real problems with performance on occasion. There’s nothing game-breaking, and the technical hiccups are fairly infrequent in their severity, but jarring skips and an overall frame rate inconsistency have to be mentioned. At least the audio side is flawless; the soundtrack is great, and a hilariously dry running narration, reminiscent of Bastion, is a wonderful touch. Stories: The Path of Destinies may not redefine the way we think about narrative choice in video games, but it doesn’t have to: it’s just damn good fun. The idea of playing a game repeatedly to experience all its branching paths may bring to mind unnecessary padding and repetition, but the developers at Spearhead Games clearly took the initiative to avoid that. Stories is a lot of fun to play through multiple times, thanks to some thoroughly smooth and enjoyable combat — even though it’s snatched its main ideas from the jaws of the Batman: Arkham games — and great level layouts that let you explore new territory even on multiple return trips. From an aesthetic perspective, I really think a lot of players will dig the fairytale-inspired character design and colorful environments, which might help them overlook the occasional technical hiccups. Overall, this is one action-RPG fans won’t want to miss. Stories: The Path of Destinies review code provided by publisher. Reviewed on PlayStation 4. For more information on scoring, please read our Review Policy here.